The second snowstorm to hit Metro Vancouver in as many days has caused dozens of delayed and cancelled flights. According to the Vancouver International Airport's website, several short-haul flights to destinations such as Nanaimo, Victoria, Prince George and Terrace are affected. The list of delays and cancellations also includes some major destinations such as Montreal, Calgary, San Diego, Toronto and Seattle. 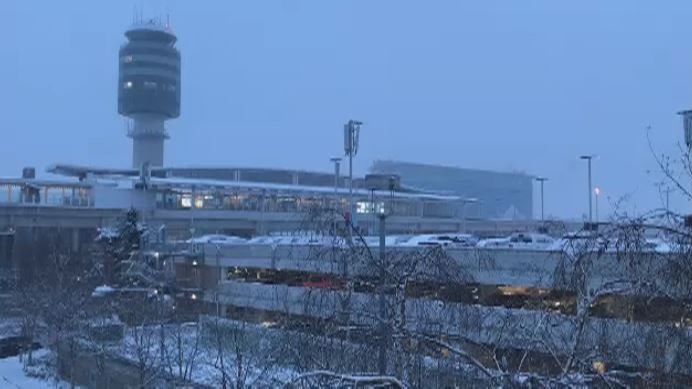 In a tweet, the airport said "the whole team is here working to get passengers on their way," adding that travellers should leave extra time and check with their airline before arriving at YVR. As of 5:30 p.m., a total of 15 flights had been delayed, and another 29 cancelled. Those travelling by ferry Monday are also likely to experience some headaches as a result of the wintry weather. 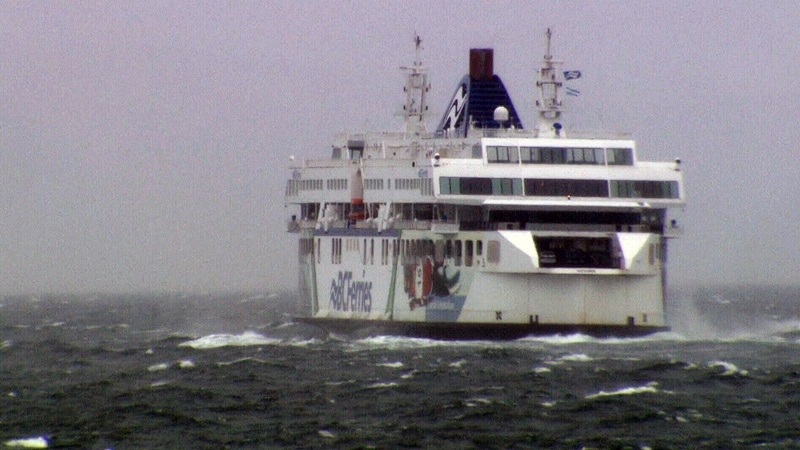 BC Ferries is warning travellers that a winter storm caused several cancellations Monday. According to the company's website, the last round trips of the day for two vessels on the Tsawwassen-Swartz Bay route have been cancelled. The same applies to the Tsawwassen-Duke Point route. The last round trips for the ferries from Horseshoe Bay to Bowen Island and Horseshoe Bay to Departure Bay were also cancelled. Those looking to board the last ferries from Horseshoe Bay to Langdale and vice versa will also have to make other arrangement as those sailings are cancelled. On the Brentwood-Mill Bay route, BC Ferries has cancelled the 4:45 p.m. and 5:55 p.m. departing from Brentwood Bay as well as the 5:20 p.m. and 6:30 p.m. departures from Mill Bay. The cancellations came just hours before another blast of winter weather was expected to hit Metro Vancouver. According to Environment Canada, the region is expected to see 15 to 25 cm of snow by Tuesday morning. That's just a day after another snowstorm blanketed Metro Vancouver, causing dozens of crashes and commuting issues. The most recent information on flight cancellations and delays is available on YVR's website. Forecast is more snow. YVR is looking good though — the whole team is here working to get passengers on their way. Be safe, leave extra time & check with your airline for flight info. Also, despite public concern we’re taking a wait-and-see approach on Will Smith as blue genie. Snow is seen falling at the Vancouver International Airport on Feb. 11, 2019. Strong winds that blew in as part of a storm system that dumped rain on B.C. 's South Coast cancelled ferry sailings Sunday, Nov. 19, 2017.